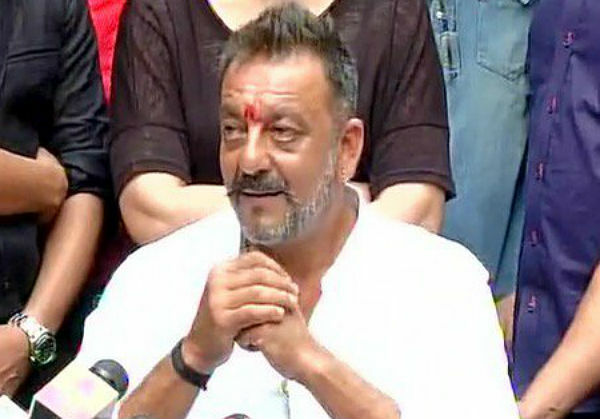 Actor Sanjay Dutt addressed the media at his residence after visiting the Sidhivinayak Temple and the grave of his mother, Nargis Dutt. The actor, who served a 42-month sentence in Pune's Yerawada jail walked free today morning. 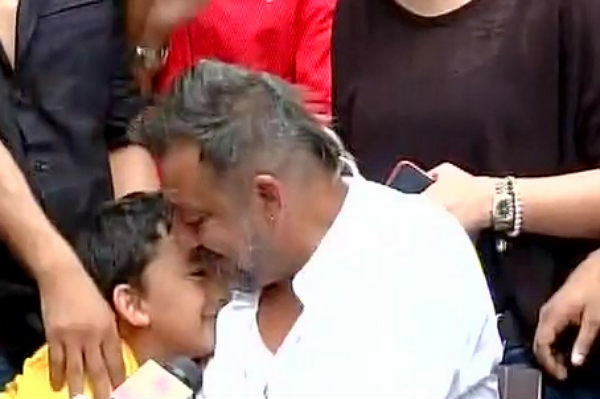 In his first media interaction, Dutt spoke about how elated his father would have been about his release. 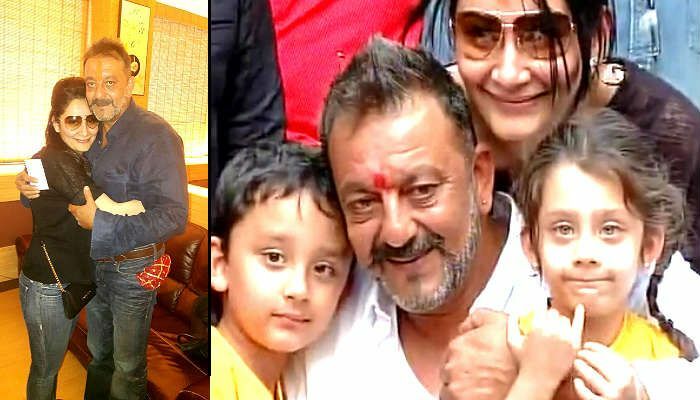 Dutt's wife Manyata and their children Iqra and Shahraan also joined him at the conference. My mother left us when we were quite young. She had cancer. I wanted to let her know that her son is a free man now. I wanted to be a free man. I wanted to taste freedom. But, now when I am finally free, it just can't get registered in my mind. I still feel that I am on furlough. Tiranga meri zindagi hai. I am proud to be an Indian. In fact, all I wanted to hear even before I got to know that I was being convicted in the Arms Act, was that 'I am not a terrorist.' So, the judges at TADA court, during that period, told me that if that's the only thing you want, the court announces that Snajay Dutt is not a terrorist. I think this celebrity status made a lot of things difficult for me. I wasn't allowed to do many things, because I was a celebrity. I couldn't sleep the last night and didn't have food for last four days. I was wondering how would it be when I'll meet my family. Anxiety is a thing that forces you to do nothing. And it happens with everybody who's in jail. Manyata is not my 'better' half but my 'best' half. She is my strength. Whenever I fall down, she supports me. I believe she had suffered more than myself. Raising kids alone and realising each day what she had, I pray that nobody gets to suffer it anywhere. I earned Rs 540 and it holds a lot of value for me. I've given it to my wife like any good husband. Salman mera chota bhai hai. I always pray that he becomes a bigger star than I am. I am always with him. They respected me and took care of me. I have made many friends -- Sagar, Zeeshan Qureshi, Narain bhai... they all respected me a lot and they are like my brother. 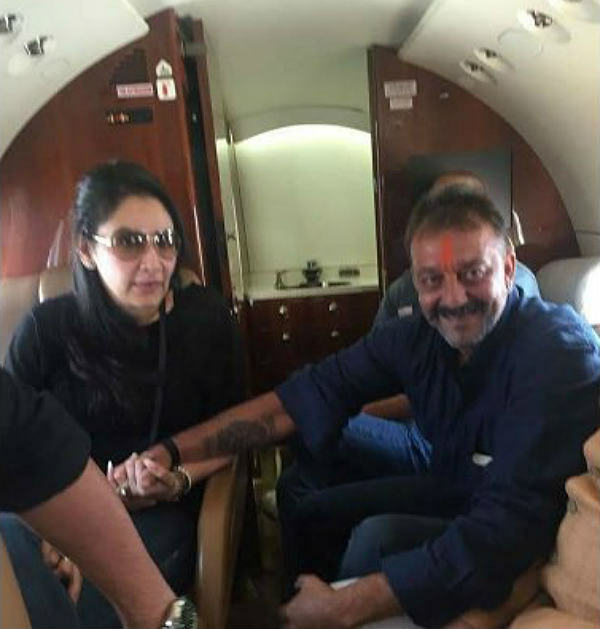 As Dutt finished talking, he requested the media to not mention the term '1993 Mumbai serial blast' while writing about him in the case. He said that he has been convicted in the Arms Act and didn't have any involvement in the terrorism.